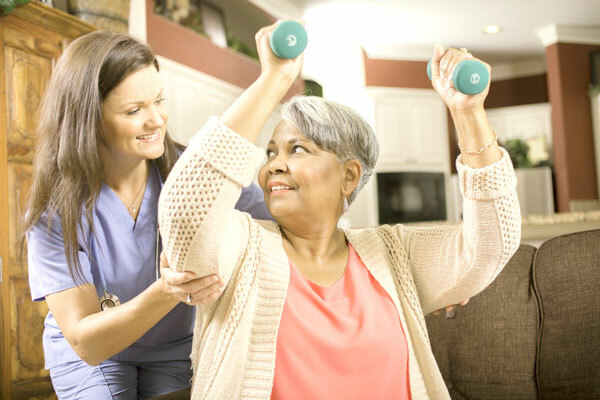 Located in Columbus, OH, AAACare caregivers provide in-home post-operative care to adults of all ages throughout the greater Columbus, Ohio area. Recovering from surgery takes time and often requires a break from regular physical activities. Proper post-operative care is key to a healthy recovery and a quick return to normal day-to-day activities for everyone. While having friends and family around is great for the healing process, it is also important to have properly trained caregivers available to aid in the post-operative routine to allow for the quickest and best recovery possible. AAACare employs highly-qualified caregivers throughout Columbus to support individuals and families in the post-operative care process. AAACare caregivers assist in recovery by providing personal care while you or your loved one recuperates. Simple day-to-day activities such as caring for pets, bathing, laundry, grocery shopping, and preparing meals can be nearly impossible without someone to help. AAACare provides all of these services and more to adults of all ages while they are recovering from surgery. Our caregivers coordinate with our clients’ family and doctors to develop a care plan that leads to a full recovery without the worry of a huge to-do list once recovered. Pets can sometimes be the most comforting companions in your loved one’s life. With our caregivers’ help, your loved one’s pet can remain in the home to provide companionship. We can assist with numerous pet services like dog walking, feeding, vet appointments and other pet services. Maintaining personal hygiene is important to everyone. But for those recovering from surgery, it’s more difficult to manage and there’s nothing wrong with asking for a little help. Our caregivers can assist with bathing, toileting, dressing, teeth brushing or any other personal hygiene tasks. Discretion and dignity are our utmost concerns. Maintaining a tidy house can be a struggle for those recovering from surgery or anyone with limited mobility for any reason. Our caregivers can assist with any daily household chores to ensure a clean house that brings peace of mind without the hassle. Running errands is difficult without a way to get around. Our caregivers can help your loved one finish that to-do list by giving them a ride to appointments, events, the grocery store or other errands that need to be completed. Companion by day, personal chef by night. Our caregivers can help prepare meals, shop for groceries, monitor dietary restrictions and provide assistance in promoting a healthy lifestyle. Sometimes, having a home-cooked meal without having to fix it themselves is just what the client needs. Engaging activities for a more fulfilling life are key to a healthy mind and body. Without proper engagement, your loved one could slip into depression. AAACare caregivers will exercise patience and compassion to allow for a beneficial engagement experience. A multitude of choices are offered to your loved one, giving them the most beneficial involvement. Caregivers will help your loved ones find purpose and understanding through meaningful activities.